I have just returned from South East Asia and want to give a brief update. 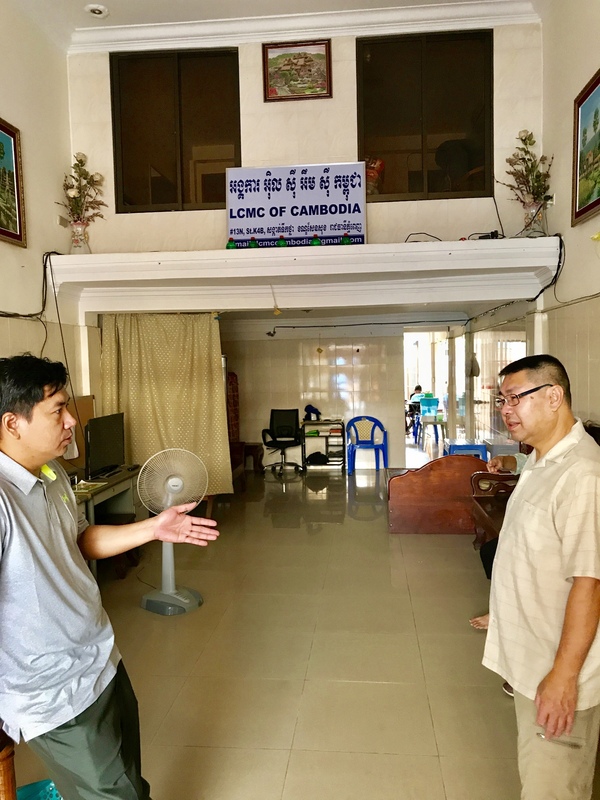 We traveled first to Cambodia, where we discovered that our mission developer there, Pastor Samuel Chim (an LCMC pastor) is doing great work for us. We have received another 15 congregations and pastors as a result of the church planting efforts of the congregations there. We now have 35 pastors and churches in Cambodia and Pastor Chim is doing a great job mentoring, training and equipping the pastors. LCMC, and LCMC Cambodia are both recognized church bodies by the government of Cambodia. The method of churches planting churches is something we could learn much from our brothers and sisters there. Each congregation numbers between 40-70 people and are led by a bi-vocational pastor whose primary work is to train and equip leaders in the congregation for the work of ministry, following the instruction of Ephesians 4: 11-14. In Vietnam we met with pastors and leaders of two new congregations in the northern part of the country. These are new ministries and our visit with them included 5 adult baptisms! We were so grateful for their efforts to plant and now establish these two new churches in a part of the world that is still cautious about the Gospel, fearing that these believers may try to subvert the government. Nothing could be further from the truth. The church exists to proclaim the Good News of Life in the name of Jesus and to offer the freedom that comes in His name. The churches connected with LCMC are connected to Lutheran Asian Ministries (LAM), a mission partner with LCMC and housed within the ministry of Morningside Lutheran Church in Sioux City, Iowa, an LCMC congregation. The executive director of LAM is Pastor Tom LoVan, on the pastoral team at Morningside and an LCMC pastor as well. ]]> Lutheran Church of South Sudan's Emergency Plan for Equipping Faithful Leaders http://www.solapublishing.com/blog/lutheran-church-of-south-sudans-emergency-plan-for-equipping-faithful-leaders/a571.html Mon, 16 Jun 14 00:00:00 -0600 Pastor Jordon Long, President of the Lutheran Church of South Sudan (LCSS).